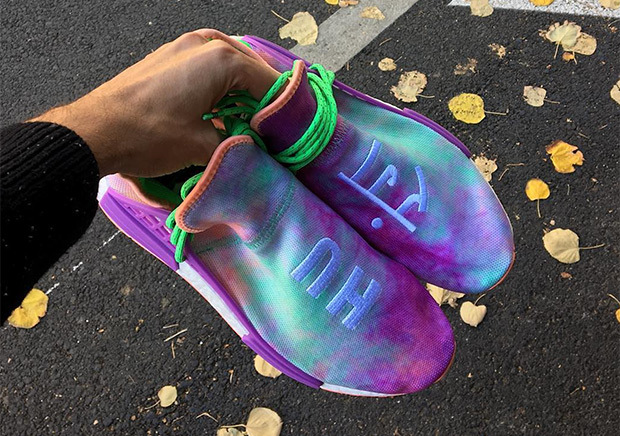 Are Pharrell and adidas Releasing A Tie-Dye NMD? 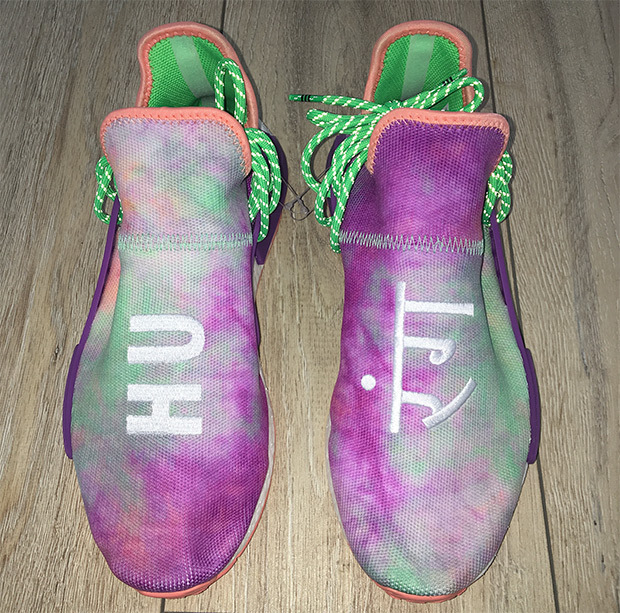 Update: The Pharrell x adidas HU Race NMD in “Chalk Coral/Flash Green” releases on March 2nd, 2018. 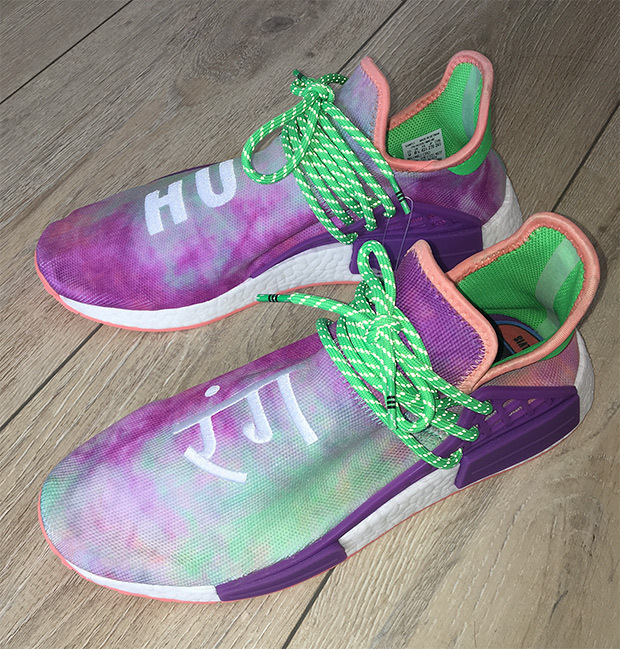 Pharrell’s been keeping himself busy with his sneaker collaborations as the titular Chanel partnership and N.E.R.D. revival have kept shoe fanatics on the edges of their seats. 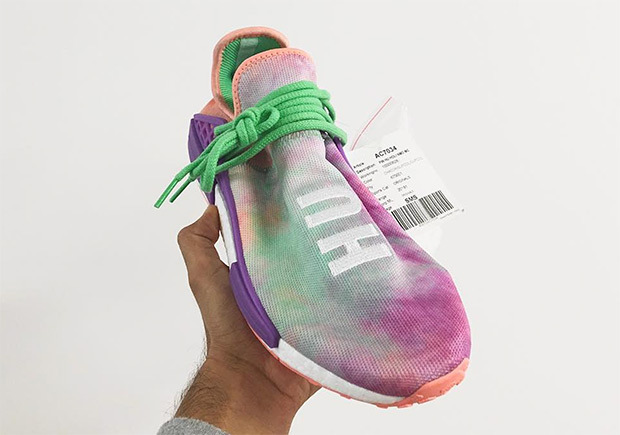 It appears that a tie-dye colorbombed version of Pharrell’s adidas NMDs might be in the works as well as a sample pair of the shoes has been spotted at the adidas HQ by purveyor of bottled shoe cleaner Jason Markk. Samples of this exact version have surfaced earlier, but now that the shoes have been spotted inside adidas’ walls, it appears that these are indeed the real deal. Peep the additional images ahead, and remember that Pharrell’s NMD Trail joints are dropping this month as well.